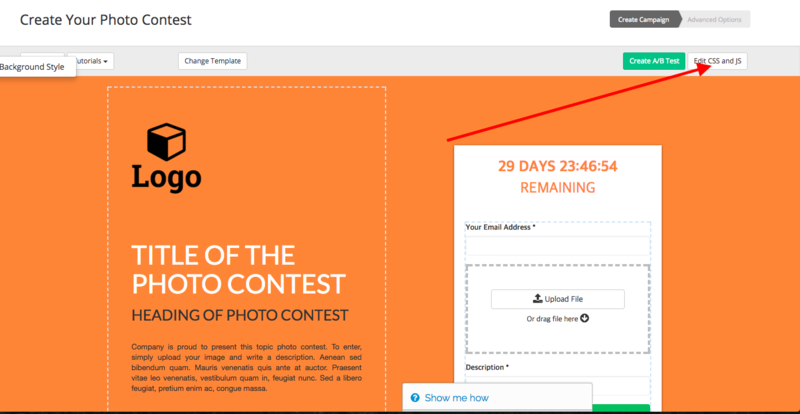 CSS codes are typically used to make additional changes for contests that involve public gallery and voting (video contest, photo contest, essay contest, Instagram contest). 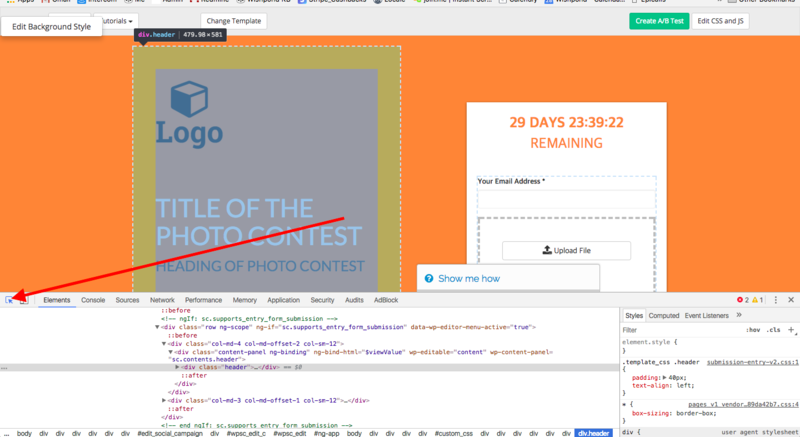 For these contests, CSS codes can be inserted into the CSS editor on the top right of the design page. If you are looking to hide elements that's not on the page, open your browser console to inspect the elements. On Chrome, this would be mouse right click -> Inspect. select an element by clicking the hover button from the left of the console, and hover over the elements to obtain the element ID. Use this as a selector to make CSS changes on the custom CSS editor.